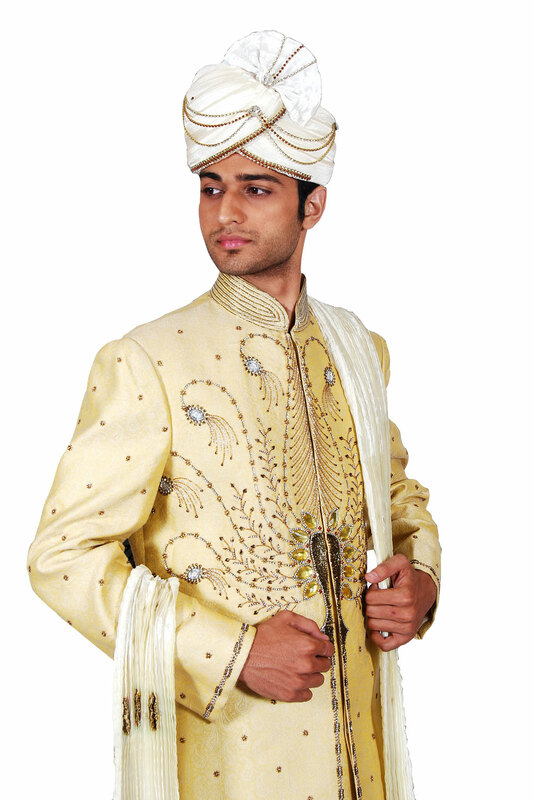 ›Traditional Indian Wedding Modern Cream Sherwani For Men. This product is custom made to order. Traditional Indian Wedding Modern Cream Sherwani For Men. This product is custom made to order. This decent cream coloured Indian sherwani makes ideal dressing while it has golden border and shiny stones which give a brighter look to it. Interlaced with diamond chain and antic saadi, this knee length wedding wear for a man paired with ⌠Khesh÷ and ⌠Safa÷ makes it look more amazing, in its own style.